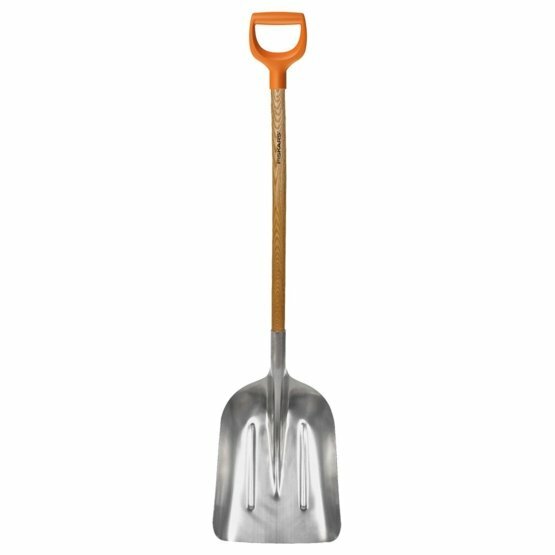 Fiskars Snow and Grain Shovel is a classic snow tool which has a dual purpose for also shifting grain. It has a very wide lightweight aluminium head which is durable and resistant to corrosion. The birch wood shaft is solid and withstands the test of time while the polypropylene grip is a good fit for gloved hands. This classic piece of snow clearing equipment is an excellent addition to any tool shed for the winter season.